Office Mobile is a useful utility from Microsoft for mobile devices. Now you can download the version for Android on Google Play. The practical use of this application is that documents created in Microsoft Word, Excel or PowerPoint can be viewed and edited directly from a smartphone. Moreover, the functionality for working with documents in Microsoft Office Mobile is very wide. convenient read resume function that automatically returns the cursor to the last position if the document is saved in the OneDrive repository. The program interface is simple and minimalist. After opening the document, there is nothing but the content on the smartphone screen. This is convenient if you just need to read the document. All editing and document management options are displayed on the screen after touching. The document can be shared in a variety of network sites, depending on the installed software on your smartphone. The application allows you to edit documents created in Microsoft Word, Excel and PowerPoint presentation files. 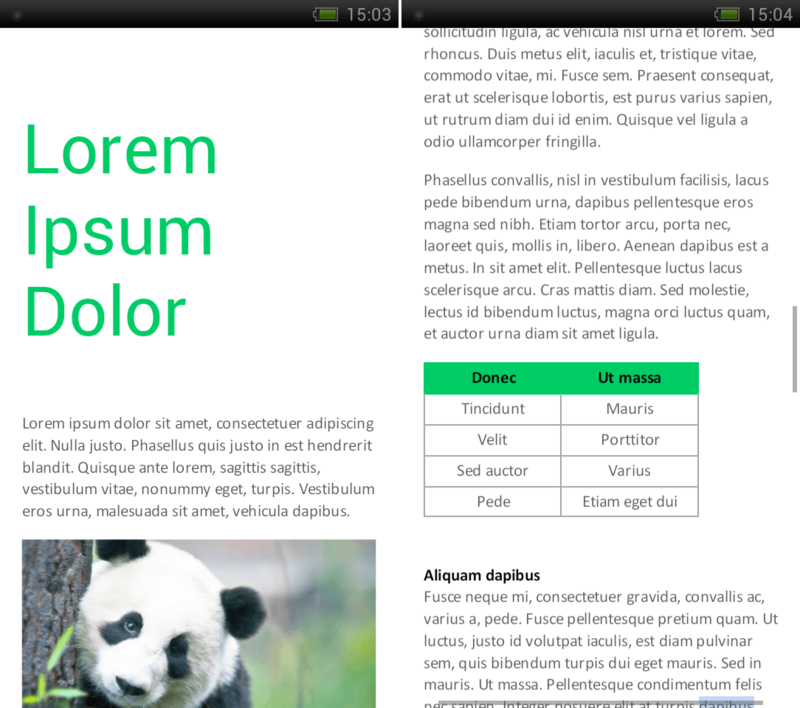 But you can create a new document on the smartphone itself only in Word and Excel formats.. In the mobile version of Excel, you can work with graphs, charts and formulas. In presentations, it is possible to edit the text and delete unnecessary slides. Text documents of old DOC formats cannot be opened, the program supports only modern DOCX-format. Without an active Internet connection, working with Office Mobile will not succeed, because the application does not support saving and opening documents in the device’s memory. You can work only with documents stored in OneDrive, SharePoint or DropBox cloud storages. The application is conveniently implemented to work with cloud storage - the user has access to all his “cloud” folders and documents in them.. It is also possible to open for work Office files received in email attachments. The application itself can be downloaded from the Google Play store for free, but to work with documents on Android, you need a valid subscription to the Office 365 package. In Office Mobile, you just need to enter your credentials and start using the application. Microsoft Office Mobile is worth downloading to those users who need documents just to open for viewing. Download free from this link - Microsoft Office. The editing capabilities of the Android version of the application are quite limited, but if you do not have access to a full version of Office, you can still work with documents.